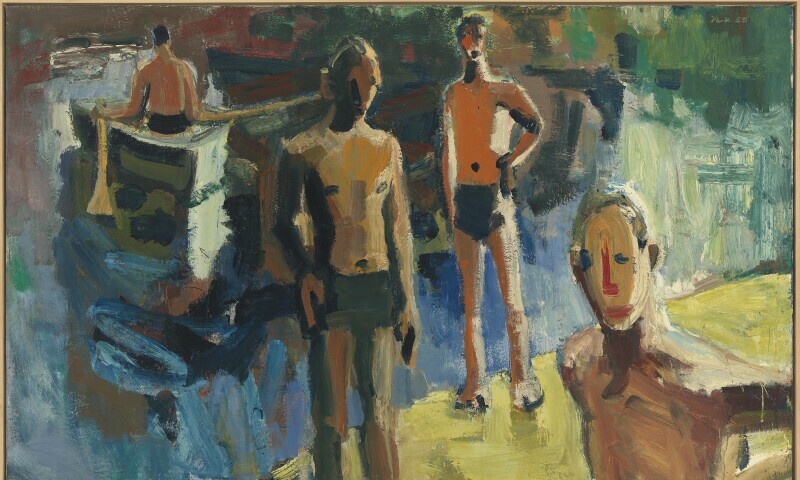 David Park, Four Men, 1958. Oil on canvas, 57 x 92 in. Whitney Museum of American Art, New York, Purchase, with funds from an anonymous donor.